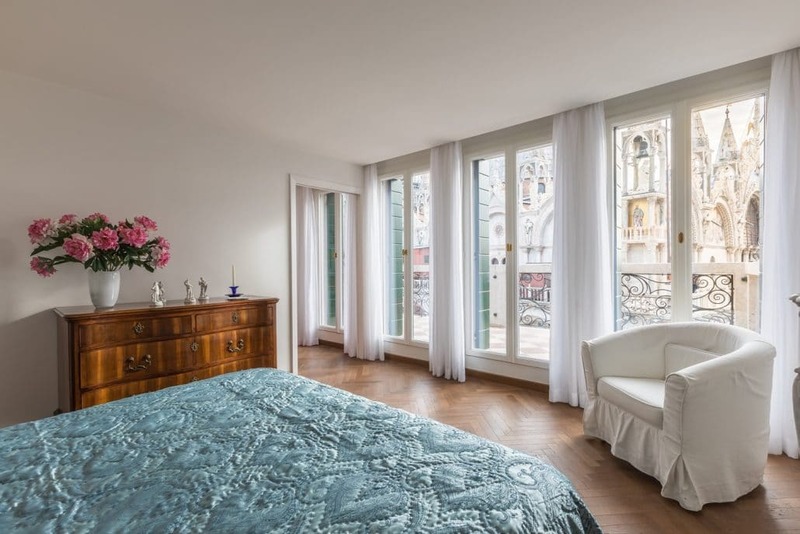 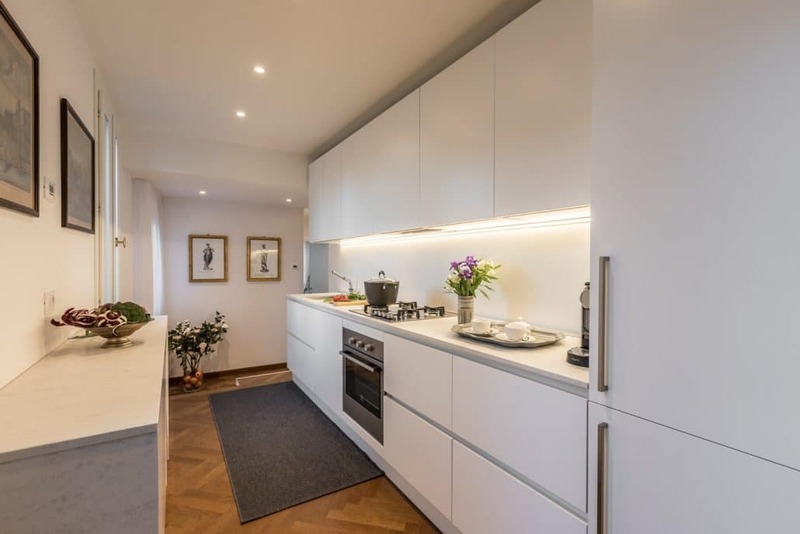 Showcasing refined and elegant interiors in keeping with its breathtaking location directly overlooking St. Mark’s Square, the Basilica and the Campanile high above, we’re thrilled to introduce and share with our readers the divine appartmento Due Leoni! 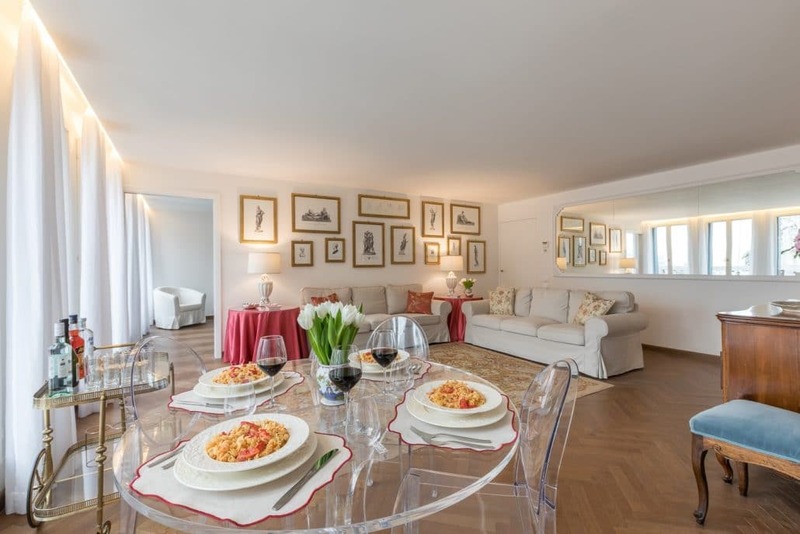 Creating memories for 6 guests that will surely last a lifetime and seconds from the Torre dell’ Orologio with its bell-striking bronze Moors, the 4 bedroom Due Leoni is as stylish as it is spectacular and is light, inviting and exquisite throughout. 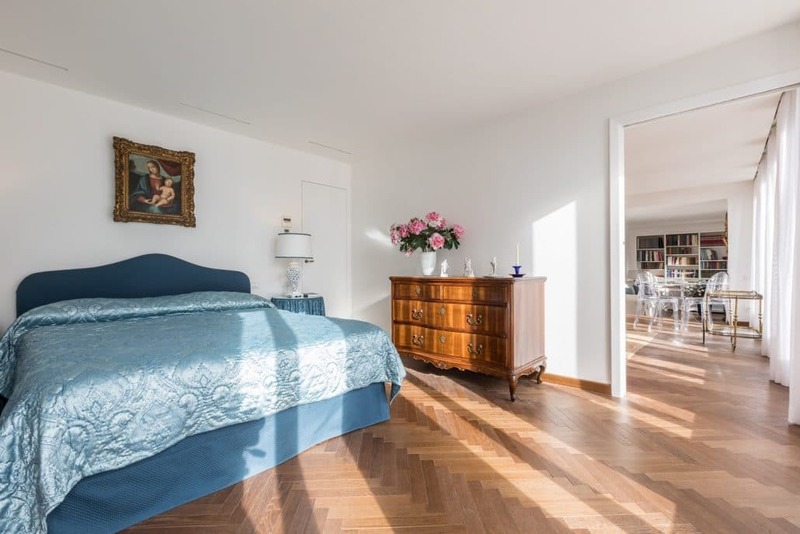 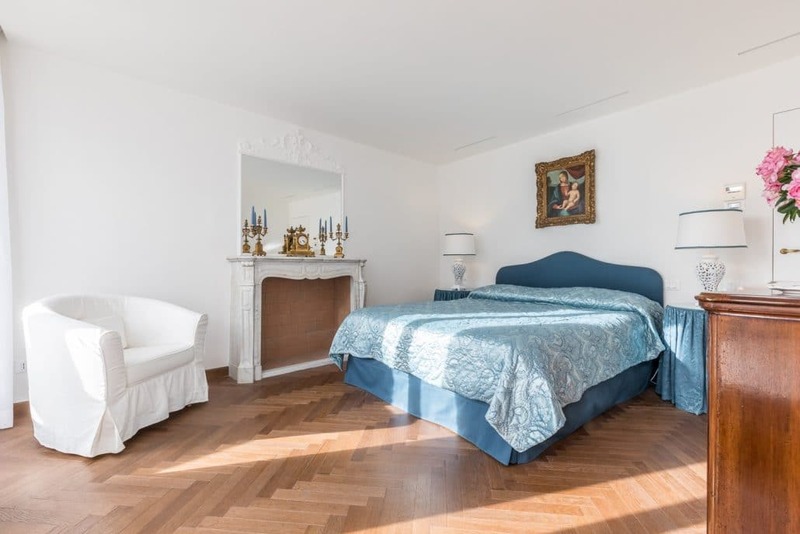 Furnished with flair in classical style and occupying the fourth floor of the property with the convenience of a lift, the air-conditioned* apartment boasts wonderful parquet flooring beneath walls embellished with paintings and prints. 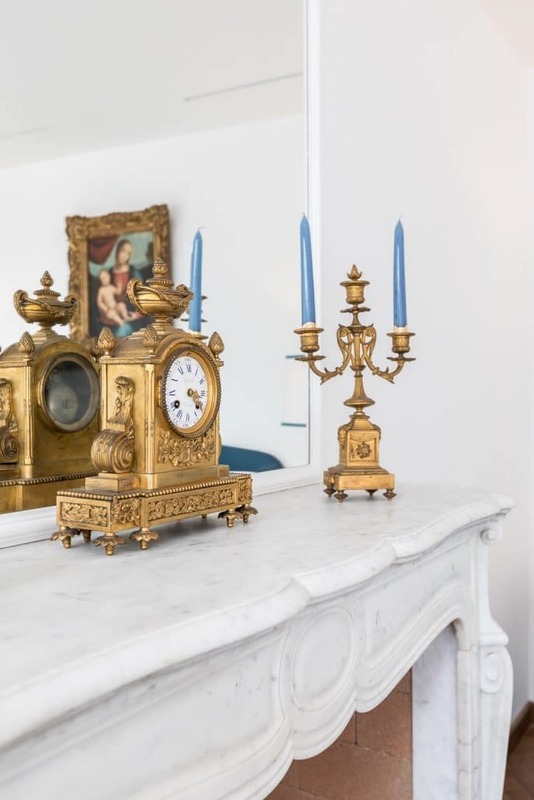 A bright and generously sized south-facing sitting-dining room with comfy sofas, a gorgeous Aubusson-style rug and four (yes four!) 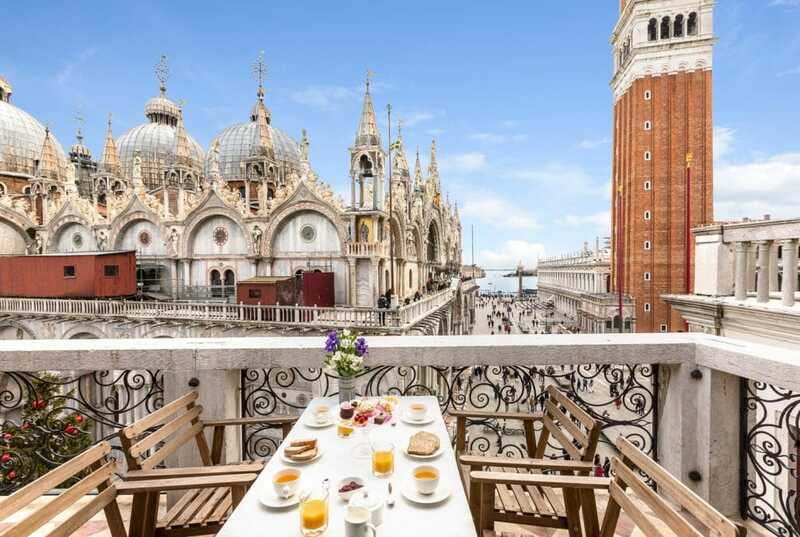 ceiling-height glazed doors giving direct access onto a sensational furnished terrace facing St. Mark’s Basilica and running the entire length of the apartment – davvero incredibile! 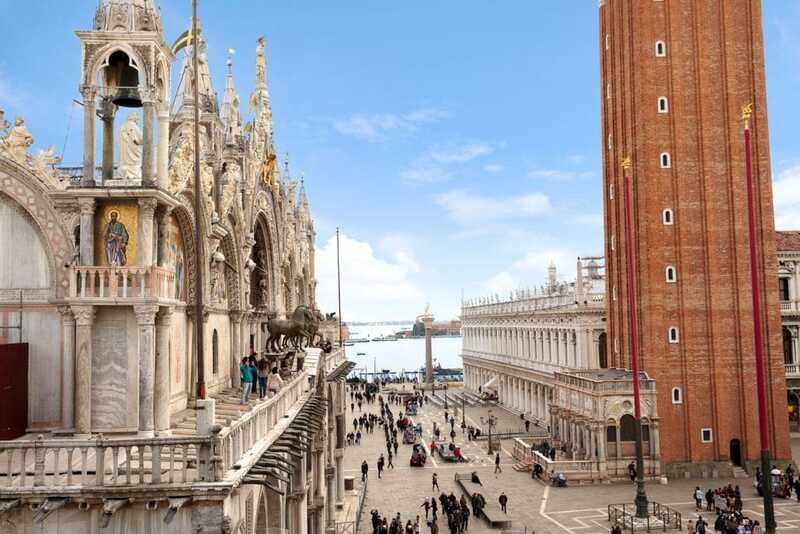 Situated in the very core of ‘La Serenissima’ – St. Mark’s Square – where romance and the evocative music** of the Caffe Florian and Gran Caffe Quadri orchestras is carried on the warm night air, while the Basilica’s mosaics glitter and the marble of the Doge’s Palace glows in the background. 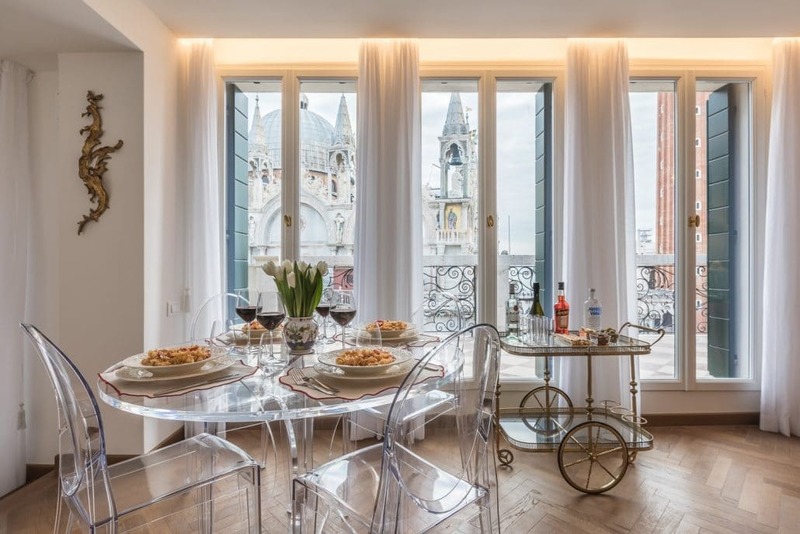 Within easy reach of the famous Rialto Bridge and the Grand Canal, plus Venice’s newly launched lifestyle department store – the architecturally impressive T Fondaco Dei Tedeschi. 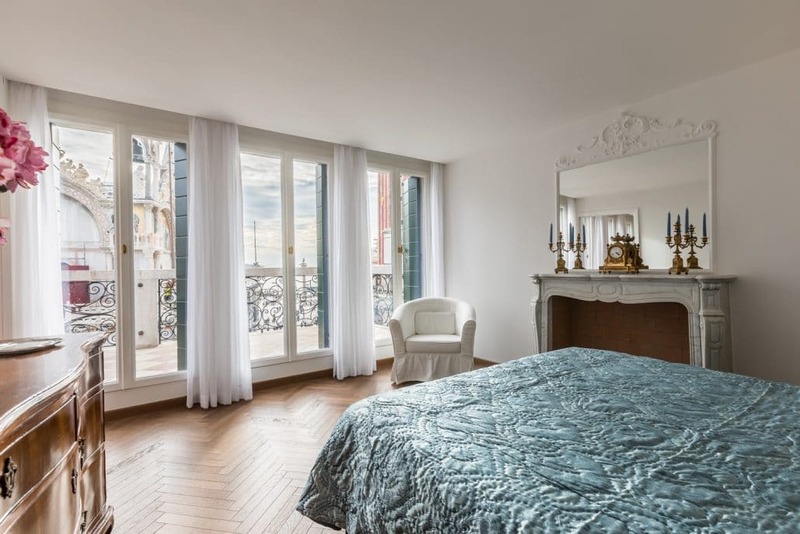 Also within a short stroll of 2 supermarkets – at Rialto and Salizada San Lio – and the Vallaresso and San Zaccaria vaporetto (water bus) stops for convenient and hassle-free travel about town. 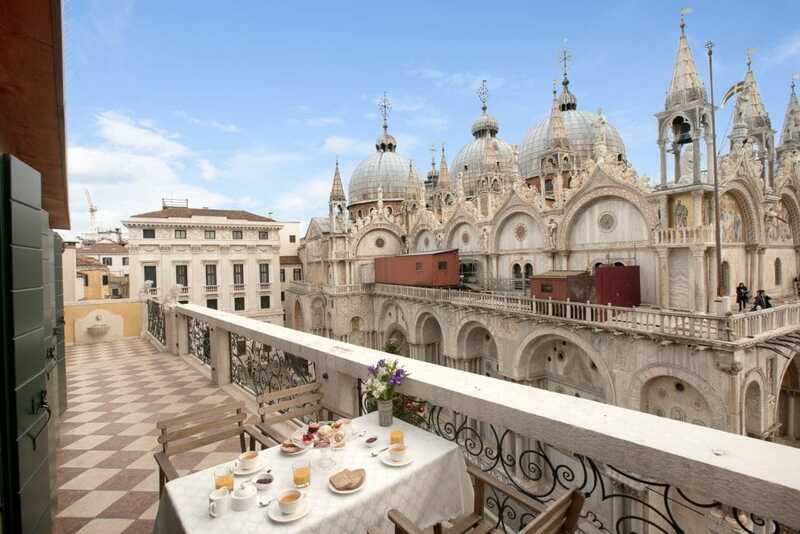 ** Performances are dependent on season and weather! 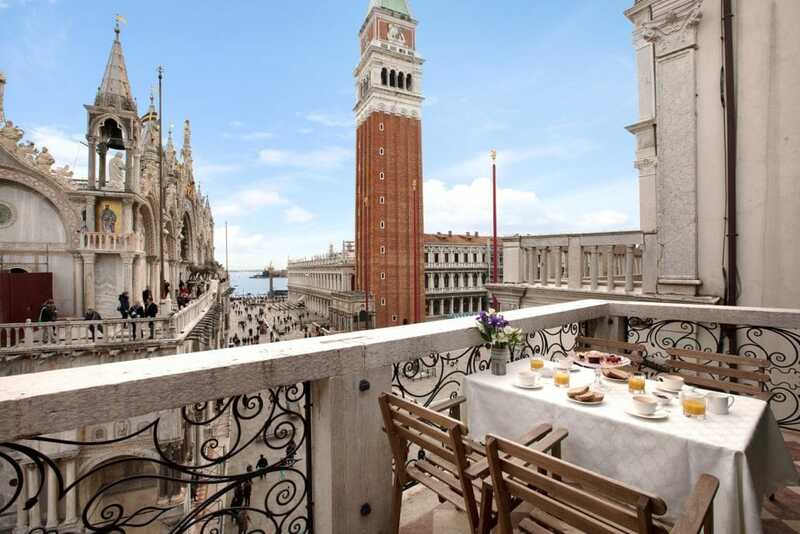 San Marco Luxury Venice: An apartment to astound and render one speechless with possibly the most iconic views in all of town!